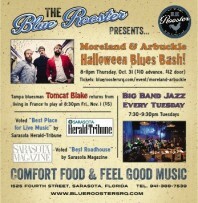 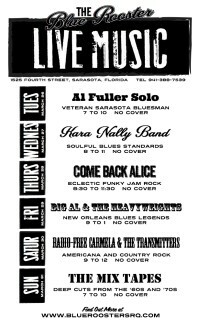 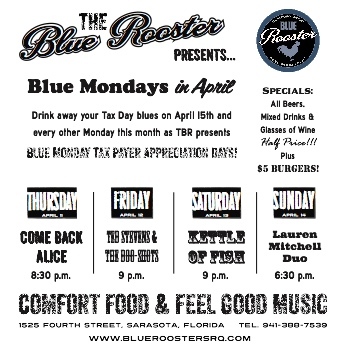 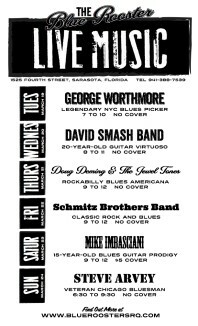 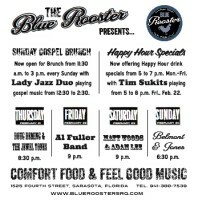 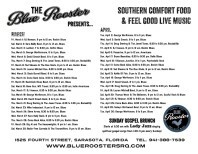 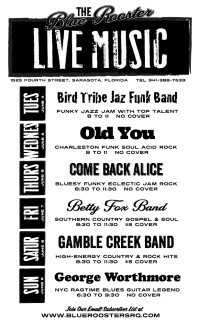 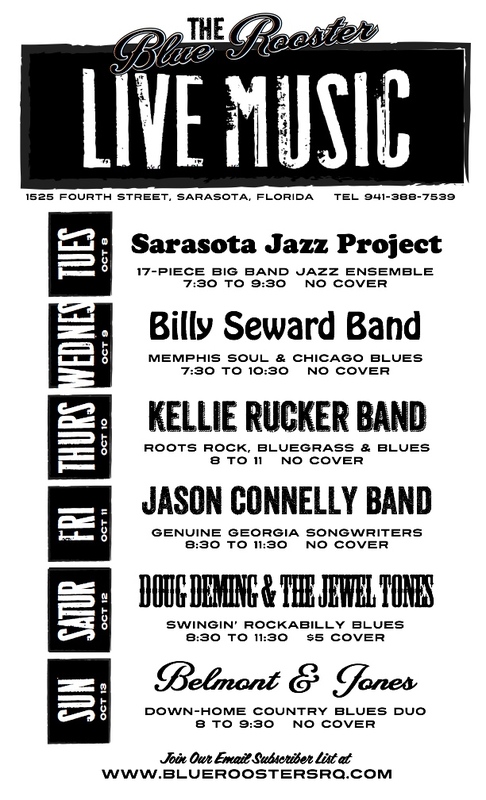 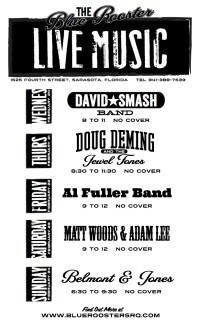 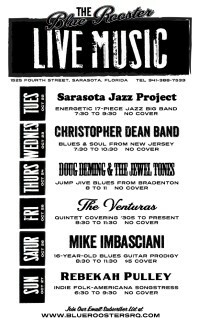 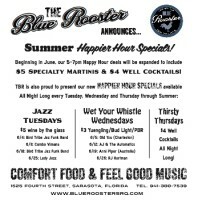 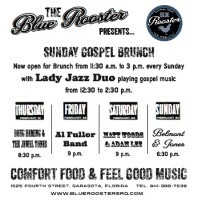 The Blue Rooster is an upscale southern comfort food restaurant, bar and live music venue in downtown Sarasota. 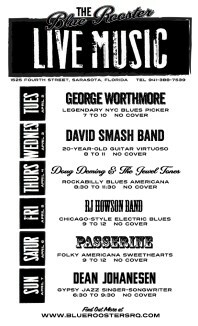 I helped to open the joint working as their in-house digital marketing guru, public relations specialist and graphic designer. 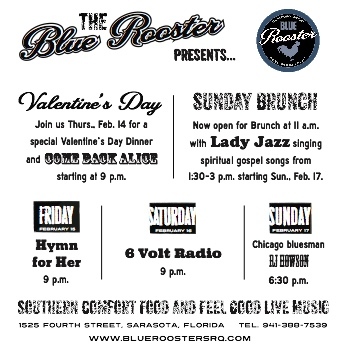 Check out the restaurant’s Grand Opening Press Release for an example of my marketing copy, scope a sample of the MailChimp Email Newsletter I sent out each week, or click on the thumbnails below to view PDFs of my design work.